Maybe its because it’s the NFL’s conference championship week, but not a lot of attention was given to a news conference that featured former NFL players Harry Carson, Nick Buoniconti and Phil Villapiano calling for no tackle football until kids reach 14 years of age. The three NFL linebackers teamed-up with the Concussion Legacy Foundation in New York City Thursday to announce the “Flag Football Under 14” initiative. 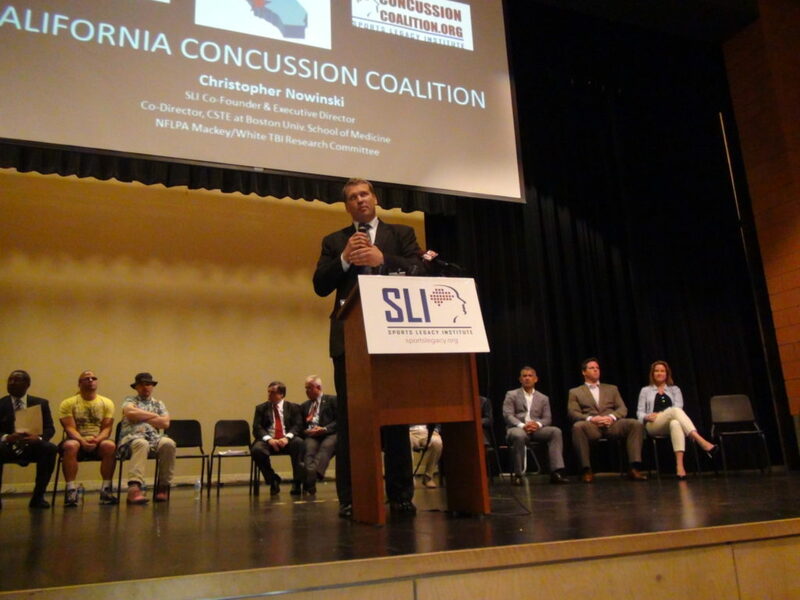 Concussion Legacy Foundation co-founder Chris Nowinski speaks to CIF LA City Section football coaches in 2012.